When his laptop died recently, Mike Rothman considered purchasing the new iPad, until he looked at the alternatives. Recently my HP Laptop died. An internet search revealed many of the same model were dying from the same symptoms, but HP Service assured me I was out of warranty. Oh well, I wanted something new anyway. But what should I purchase? Currently, the new iPad is all over the news, and I carry an iPhone and know the ecosystem. Without doubt, the iPad is a nice machine. Our own Josh Windisch gave it a review with high praise after using it for a week. 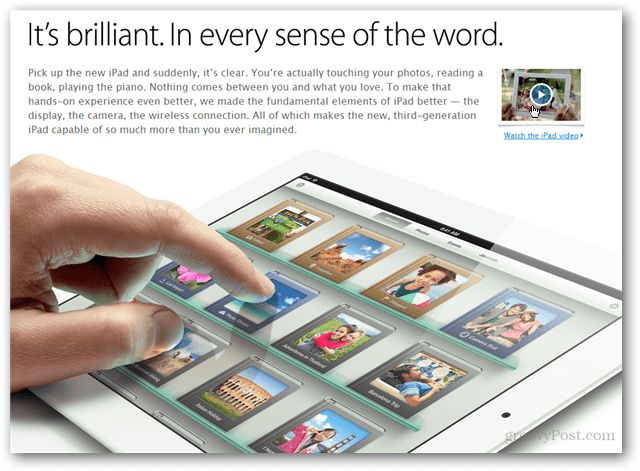 In fact Apple assures me that it’s brilliant (in its advertising). But what about my use case? Would I be well served with an iPad when I’m interested in both consumption and creation of content? I don’t use any computer for gaming. A good keyboard has always been important to me too. I do a good deal of writing and work with numbers. And I really don’t want to go further down the rabbit hole of a closed ecosystem, do I? In a scan of current moderately priced laptops, I turned to the Acer Aspire line. Nice 15.6” widescreen format display, fast dual core processor, 4 gigs of memory, built in DVD RW Drive and a lot of other goodies. Yes, it is just shy of 6lbs in my backpack and with battery life of 4 hours, I may need a power brick. But this is a workhorse. But not content, I wanted to replace the physical hard drive with a solid state drive. Checking with Acer, I found that is a 5 minute swap of drives with access on the bottom panel. So, my order looked like this. Sure enough, the install of the SSD took all of 5 minutes, and I loaded Windows 8 Consumer Preview and the full Office suite of apps and still had 90 gig of SSD space remaining. The Acer now cold boots in 20 seconds, resumes from sleep in eight seconds, is blazingly fast and has yet to crash or have any problems with the software I’ve thrown at it. The price, the same as I would pay for a new iPad (wi-fi only) with 64 gig of storage. Now I know that the choice of these devices is personal, but I simply marvel at how much more I get for my money with the Acer choice. What choices about technology purchases have you made recently, and why? We live in a golden age of low cost, high powered technology, and there have never been more interesting uses. How are you putting your technology to use in interesting ways? I went with a Acer for a 2nd computer that I can take anywhere as well, It does everything I need it to do with a 500 gig HD, 4 gigs of RAM, Blue Ray player, wifi & blue tooth, and 15.5″ screen with HDMI out port. Took a chance and bought it on eBay, brand new in the box with 1 year guarantee for $560. I’ve had it over 6 months, and so far not one issue. I do most of my “work” from home on my desktop too. I’m not a big fan of Apple, never have been. Besides, I like to be able to do any type of repair(s) myself armed with nothing more than a small Phillips screw driver rather than getting involved with “spudgers” and “pry bars” etc…. Or having to deal with self proclaimed “geniuses” that are more attitude than help. I know I’ll be blasted by the Apple fans, but freedom of choice is a wonderful thing that makes this country great. Congratulations on your new laptop. @Johny that is a really good deal. Where did you get it at? What type of processor? Core i5? You know, speaking of that. You might be thinking you’re getting a great deal on a computer with a Core i3-i7 — but the chip models are older and not the fastest up to date ones. Anyway, that just came to mind. I have a lot of tech gear since this is the line of work i do. While all devices are just tools I don’t think you really can compare a Laptop to a tablet no matter whose it is. However, for people that just want to get something done the ease of use of an iPad makes it a great tool. Granted it is expensive but as a communication tool it beats any laptop. Art is not really something people do on a laptop but check out (just enter iPad artists in Google and switch to images). Even writing and sharing is easier on an iPad (do same search but put in writers instead of artist. First you can get a case with built in keyboard. Have you ever tried to type in economy class on an airplane with a laptop? Good luck. I might even venture to say there are probably more apps than you could ever get on a laptop. At first file saving and transfer was an issue for me when i got the iPad but now that I use the “cloud” that is even not an issue (get Dropbox its great). I hit print and it just works to any network printer.. no drivers to install etc. so one install of Finger Print on my desktop and wholla all the iphones and ipads (7 devices/people) and we just print. Okay so I still have a desktop because it is a better tool for somethings but with Splash I bring my desktop with me everywhere (even on my ipad!). So a tool is a tool but if you travel and you need a good one I would take an iPad or similar tablet any day over a laptop. Your way of telling the whole thing in this paragraph is really pleasant, all can simply understand it, Thanks a lot.